UFO SIGHTINGS DAILY: Alien Caught And Imprisoned Back In 2008, Video, UFO Sighting News. Alien Caught And Imprisoned Back In 2008, Video, UFO Sighting News. Location of recording: China or Brazil. This video first surfaced on Chinese video sites about 2008 and since then has been seen on all site everywhere. 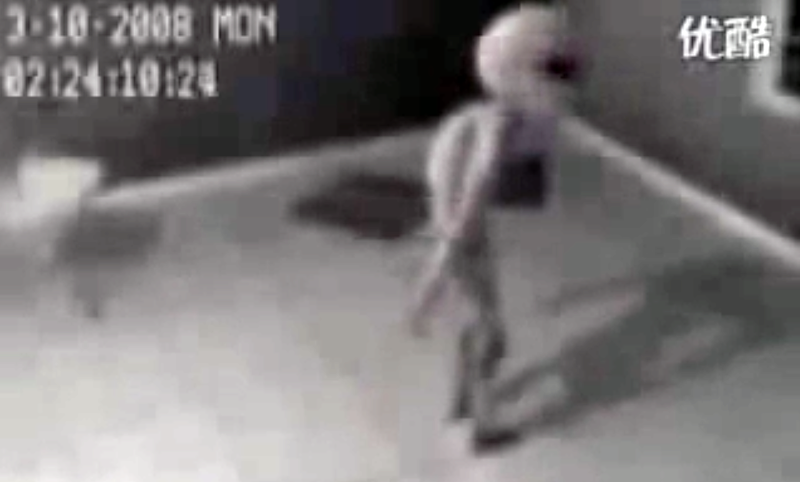 It shows a captured alien in a room with security cam footage of the interior. The alien is clearly a prisoner, and attempts to loosen a window, but is disturbed when a person opens the door behind him. He couches down to be less threatening and then someone places a pan of food inside the room and leaves. Now there are other parts of this footage, about 4-5, but over the years they have disappeared. No one has ever been able to prove that this footage is not authentic, so its passed the most important test...the test of time. I wonder where this poor guy is today? Probably handed off from the government of one country to America in hopes of getting favors.